When we suggested the #LogicTeam in Barcelona to make a portrait of one of their members, Ferran Esturgó volunteered. This small gesture already says something about him. Suddenly, I found myself in the co-creation room with Ferran, ready for a long conversation. 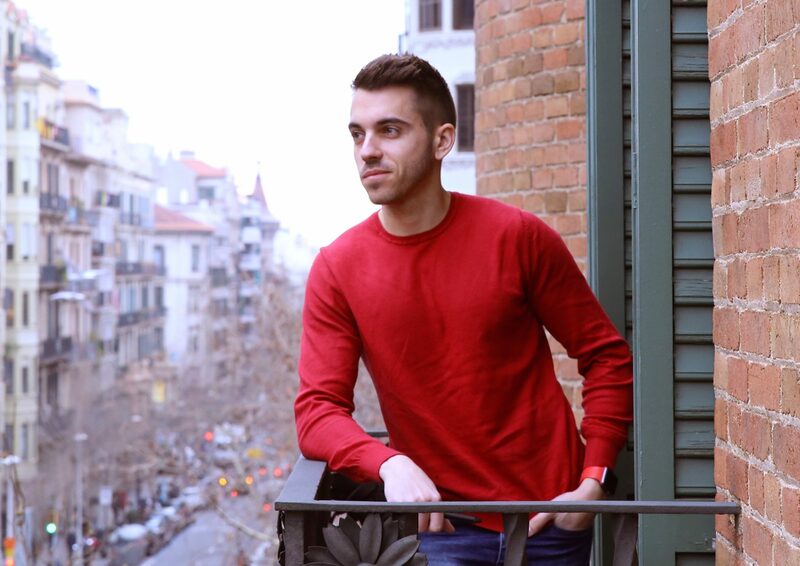 Ferran is our Chief Innovation Officer in Barcelona. We started talking and soon he took me to his native village, Sant Feliu de Codines, where he grew up and where he has what he loves: his family, his friends, his youth experiences… his identity. 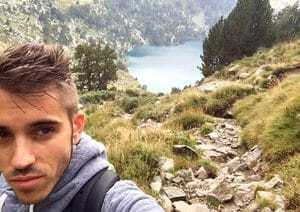 Surrounded by nature, he discovered sport as a hobby and football as a passion: he has been practising since he was five. Music is another hobby of his and trust me, we all know since we had Ferran performing as a DJ at the company party: it was amazing! The story between Ferran and the company began 11 years ago. It was summer in Sant Feliu de Codines when Dani Muñoz, CEO of Logic Design Barcelona, needed someone to help him in his former agency, Packart. Ferran started organizing the materials of the projects for allt the clients of the design studio. What he was asked to do in three months, he did it in three weeks. His engagement and his desire to learn have make him grow professionally at the same pace as the company. He knows every detail of the projects and clients. As he studied design, he was involved in projects at different creative stages and production. Then, he led the Art Department for years. But as he likes challenges, he decided to study strategy and brand and got a Master’s degree that allowed him to lead projects from A to Z. His versatility enables him to have a 360º vision of projects, a vision that knows no limit in the execution since he knows how to convey the “open up together” philosophy. When a colleague knocked on the door and told us: “Are you ready to go out?” We laughed: we had been talking for hours without realizing it! I learnt a lot about Ferran with this interview. His humbleness and his determination led him to tell me: “You get more experienced with each project but you cannot never say ‘I know’. It is important to put on a trainee jacket from time to time to stay in touch with the constant evolution of things”. Logic Design is now a member of the association CroissancePlus! The Food Revolution, A New Moral Order?